Get £150 off your next order at Tweak Slumber mattresses with this exclusive referral discount voucher code. Tweak proudly present this promo code to all TroopScout users: serving members, ex-forces, family and friends. Click ‘Get Code’ to get the voucher code and open the Tweak website. 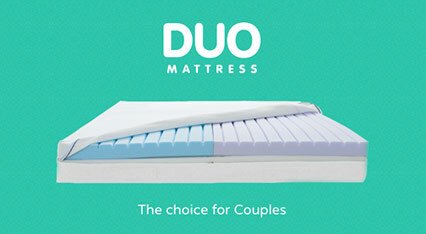 Select your preferences for your chosen mattress. Click ‘Order Now’ at the bottom. Tick the box at the bottom to acknowledge that you’ve read the terms and conditions before proceeding. Click ‘Checkout’. Type in your TroopScout promotional code into the box provided on the right hand side. Click ‘Apply’. Fill in the customer information and shipping address on the left hand side of the page before clicking ‘Continue to shipping method’. Check your shipping method is free of charge, and then click ‘Continue to payment method’. Fill in your payment and billing details. Click ‘Complete Order’ at the bottom of the page to finish your order.